About 47,300 tons of equipment transported from the old Istanbul Ataturk airport to the new Istanbul Airport, 30 kilometers north, on the shores of the Black Sea. During the relocation between the two airports, major roads in the city were closed to traffic to ensure secure operation. 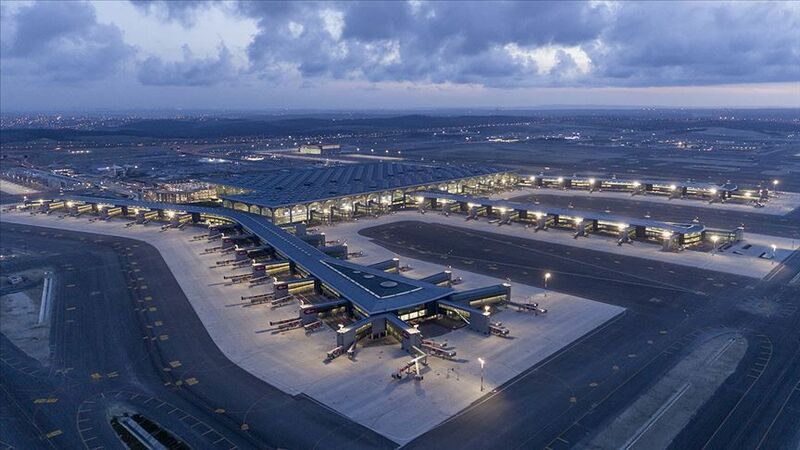 The Istanbul Airport started serving international and domestic flights on April 6 after its mega move. Turkey's flag carrier Turkish Airlines (THY) bid farewell to Atatürk Airport with the last international flight to Singapore that departed on Saturday at 2 a.m. Turkish Airlines dispatched its first flight to capital Ankara at 2 p.m. local time. İlker Aycı, chairman of Turkish Airlines, said in a statement: "Today in our new home, we open the doors of a new adventure and fly to our capital once again for our first flight." Turkish Airlines carried more than 25,000 passengers on its first day at its new home. "As of 1:45 a.m. we said farewell to 10,641 guests in our 48 flights. The number for arriving passengers stood at 14,582 in 79 flights. We handled 21,792 pieces of luggage and achieved 84% performance rate. We are off to a good start and doing well," THY's Senior Vice President of Media Relations Yahya Üstün said on Twitter on Sunday.